Red Wheel ∕ Weiser Online Bookstore | The Art of Living Out Loud: How to Leave Behind Your Baggage and Pain to Become Happy, Whole, Perfect Human Being with Unlimited Potential by Meg Blackburn Losey, Ph.D.
Master healer and metaphysical teacher Meg Losey experienced her own life crisis in which she lost everything--her house, her business, and her relationship and was forced to learn how to accept this devastating situation. 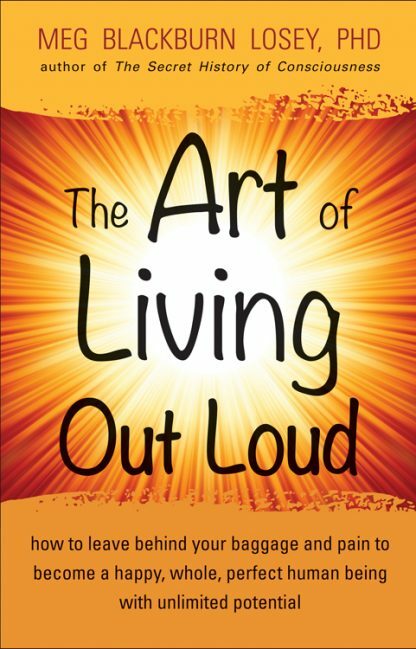 In The Art of Living Out Loud, Losey describes how she learned to live an authentic life, from this traumatic experience. She guides readers through the process of coming clean with ourselves, accepting who we are, discovering our purpose and developing the courage to embody it. Losey shows how to find one's power from the inside out, dropping pretenses and perceptions of control, shedding fears, and embracing who we are. We can literally create a perfect life right here on earth. "I learned that creating the kind of experience that I wanted in life was as easy as believing it, and that worrying was nothing more than fear of 'what ifs' that didn't even exist."